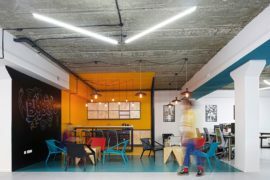 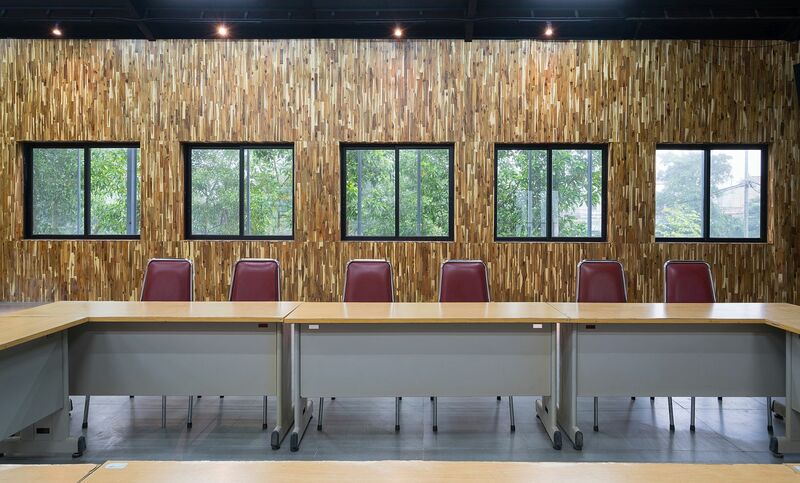 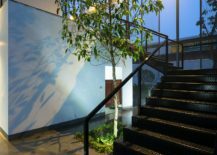 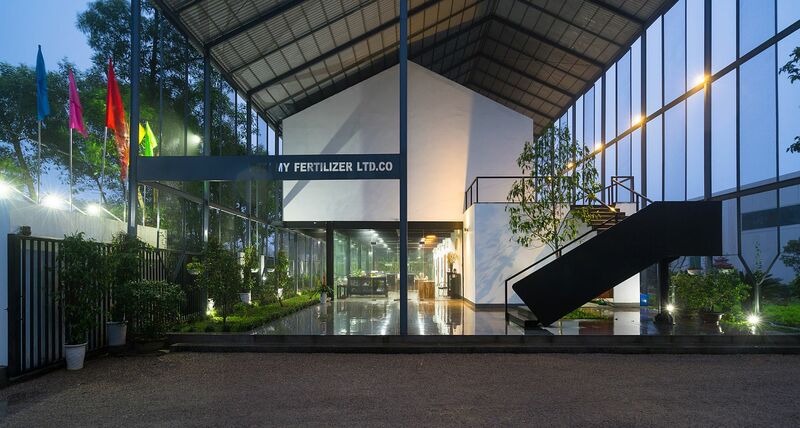 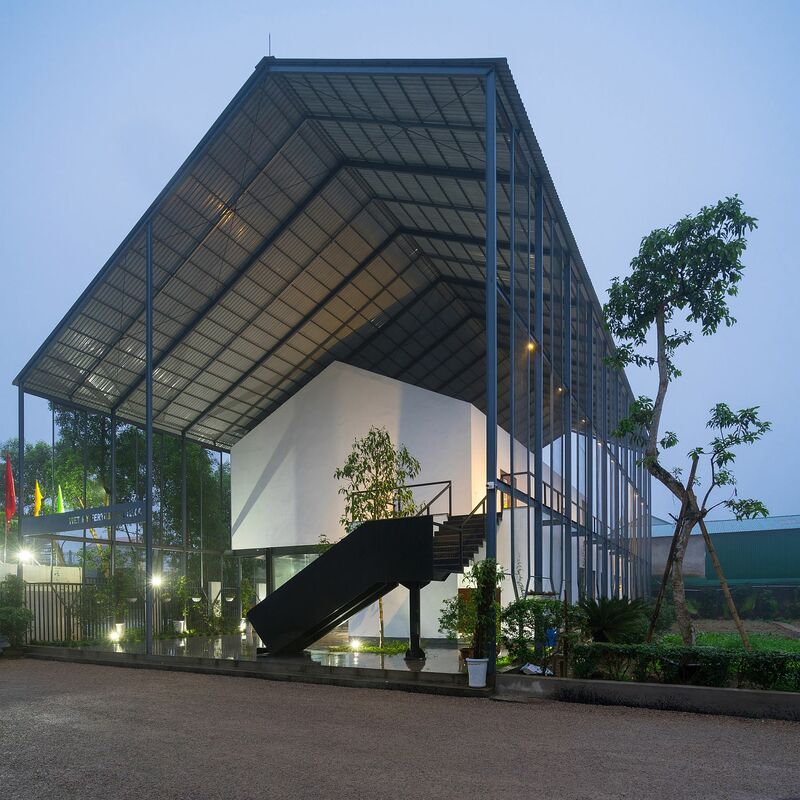 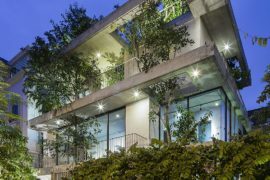 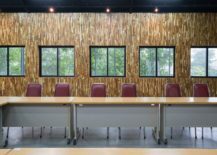 Unconventional and yet productive, the design of VIET My Office in the bustling and industrial Vinh district of Vietnam is all about combining efficiency with eco-friendly charm! 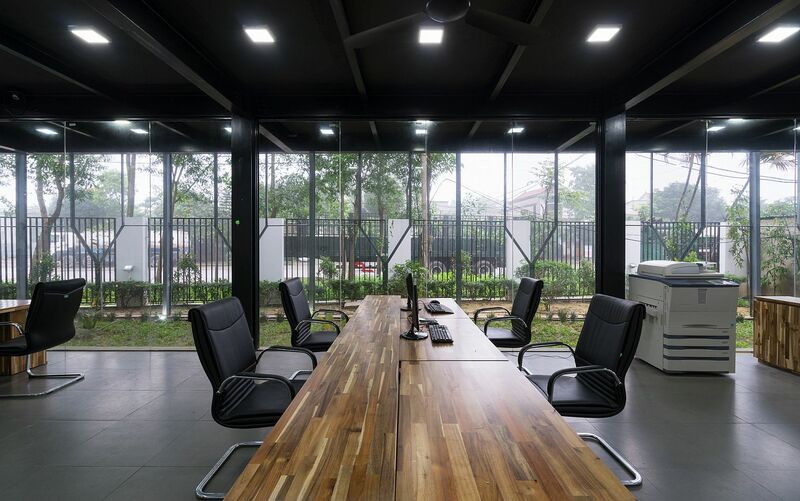 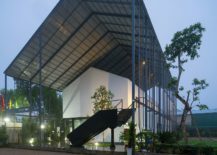 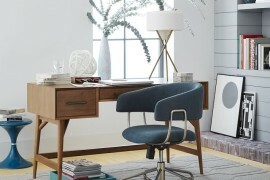 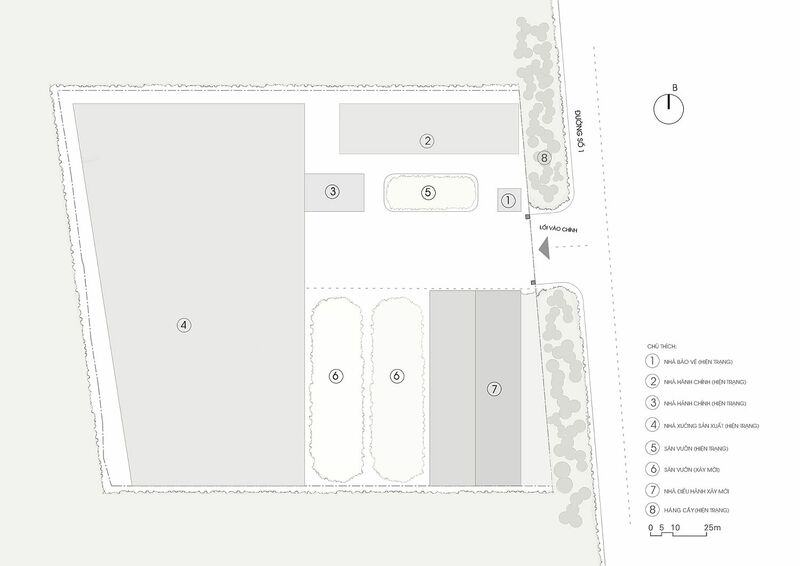 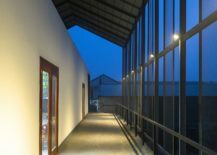 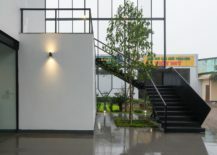 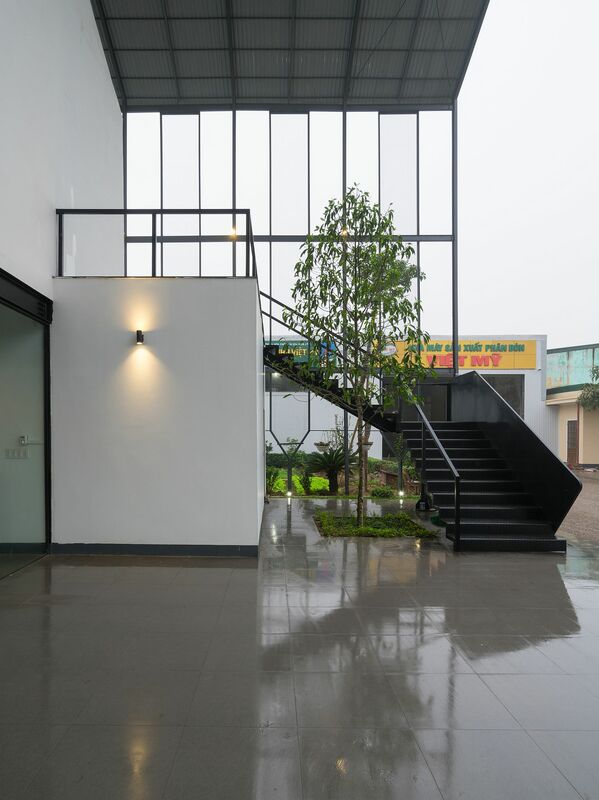 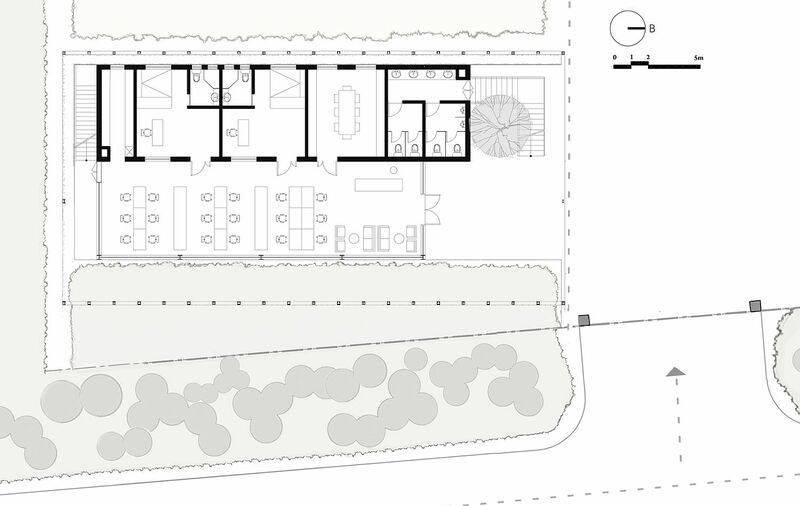 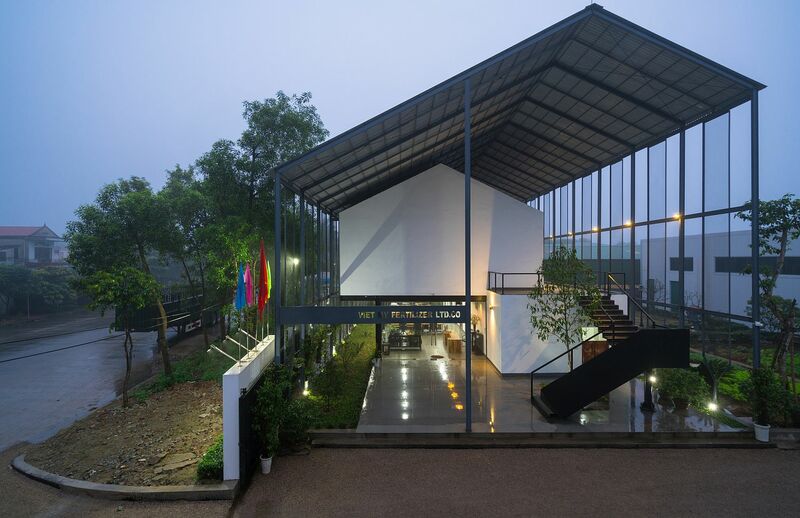 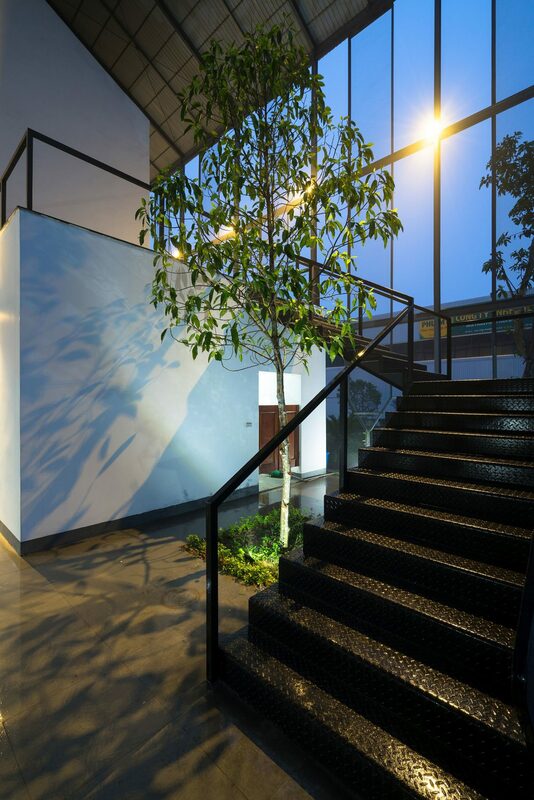 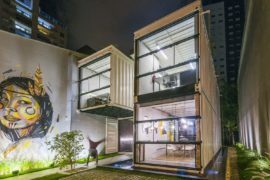 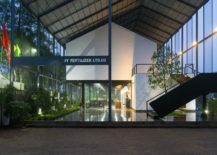 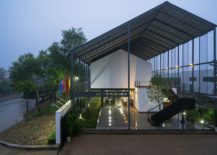 Designed by TNT Architects, the unique office stays true to the industrial roots of the neighborhood with a large shed-style exterior that also helps in cutting back energy-needs of the structure. 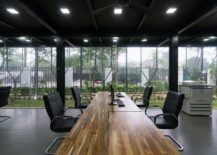 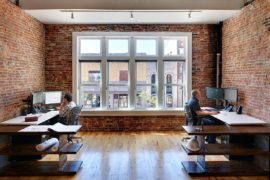 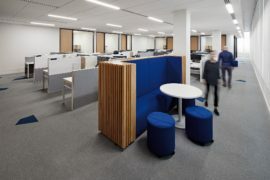 The presence of double roofs creates space for flow of cool breeze even while improving insulation with the twin levels of the office connected in a seamless fashion adding to the unhindered flow. 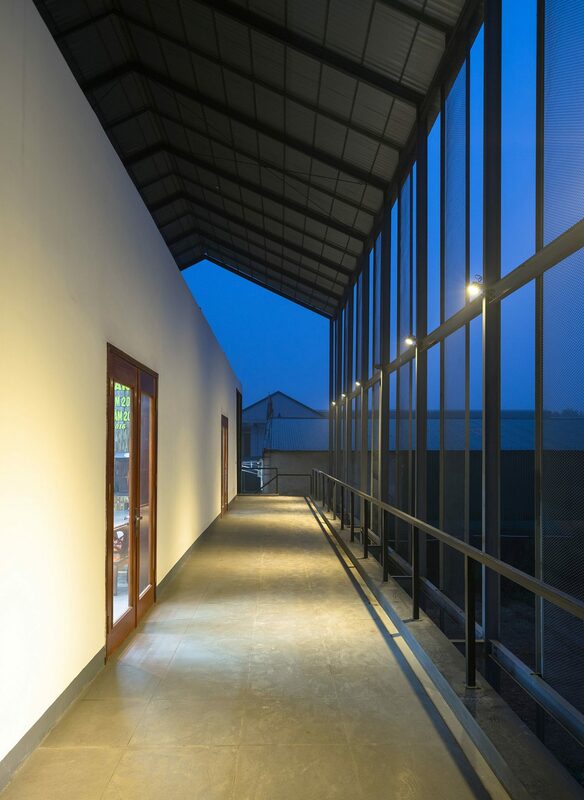 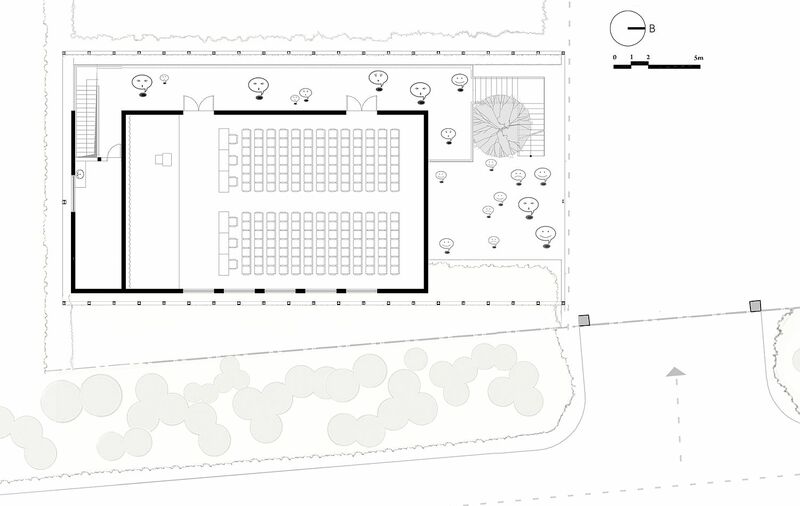 It is this synergy between flow of spaces, energy, light and breeze that shapes the overall edifice.